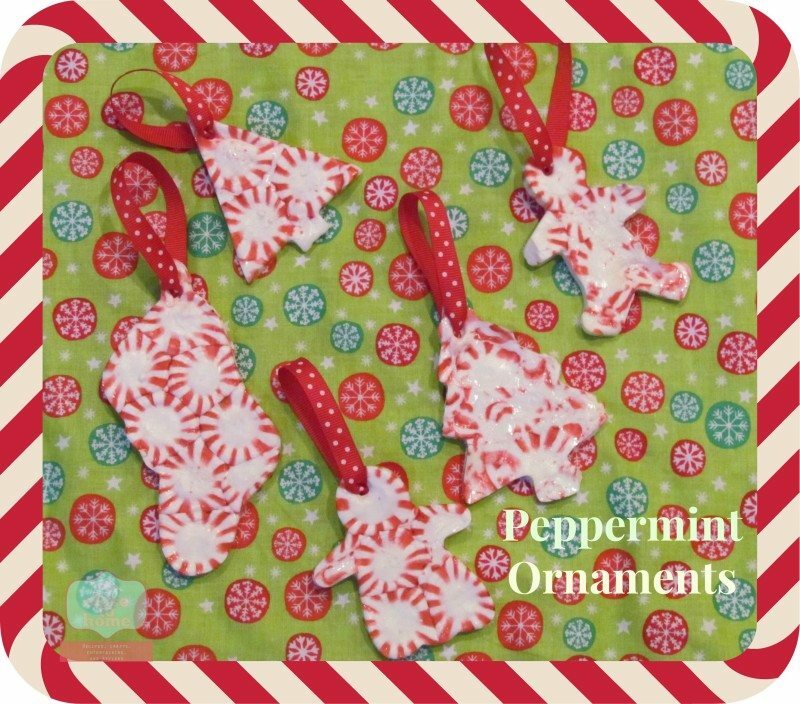 Are you looking for an easy and economical gift or party favor this holiday season? 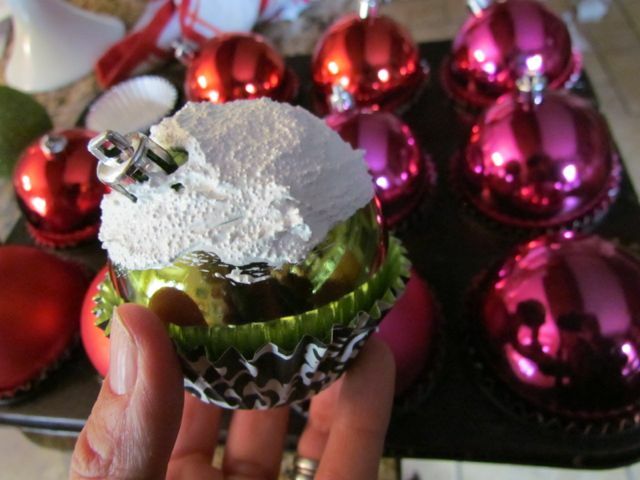 DIY Cupcake Christmas Ornament Tutorial is here to help. 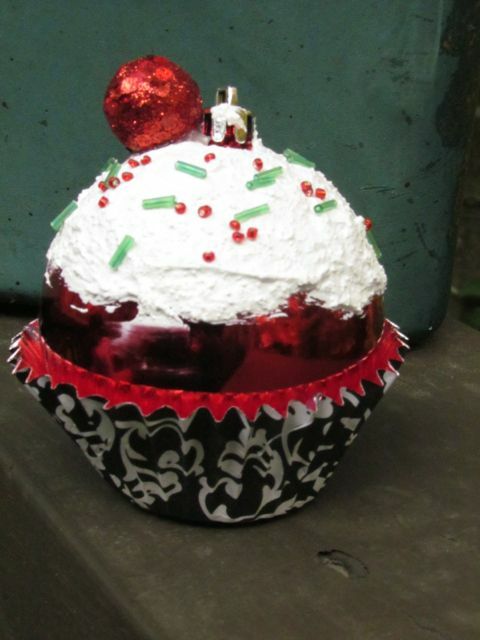 This year we will be giving away these fun cupcake ornaments for both our cookie exchange party as well as neighbor gifts this year. This craft came to mind after finding a large box of plastic ornaments I found in my attic from after Christmas sales. 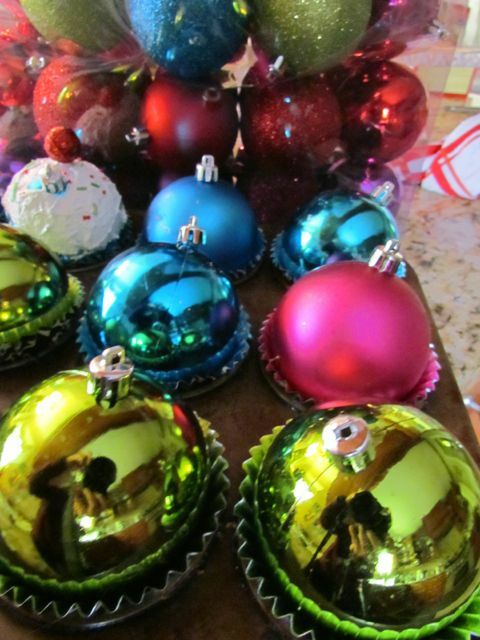 Most stores have good deals on plain colored ornaments even during the season. These would also make adorable place cards at your next holiday dinner party. 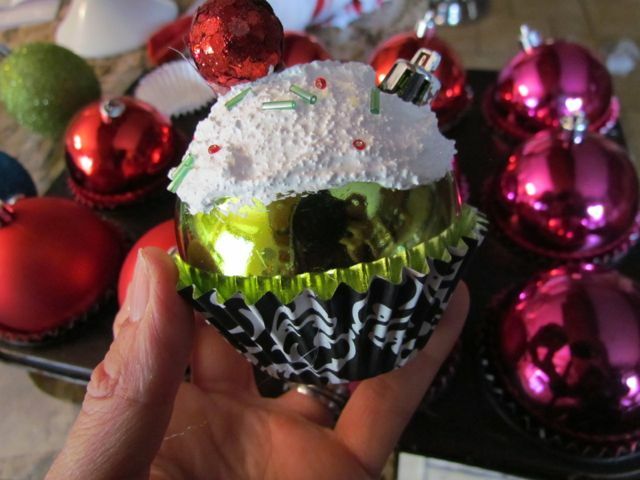 First glue your Christmas ball into your festive Cupcake Liner and allow to dry completely. We liked to angle it slightly. 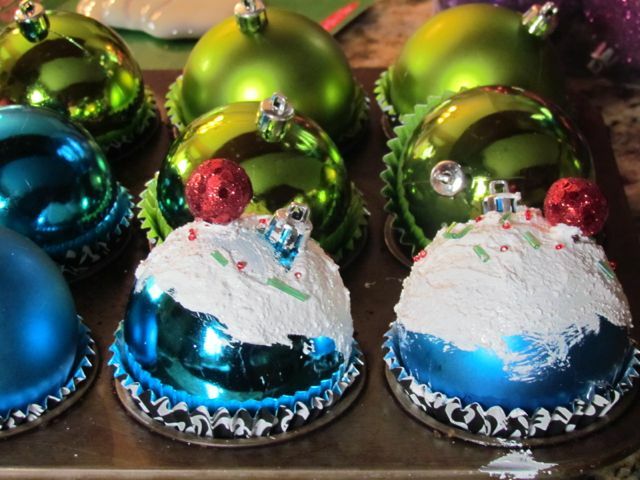 Then Paint the top of the ornament with the snow product. I have also seen people just paint the ornaments but I prefer the texture of the snow medium. Quickly add your beads to resemble sprinkles. I hot glued the “cherry” onto the ornament as I was not sure how well the snow would hold onto the bigger item. Allow these to dry for 24 hours. 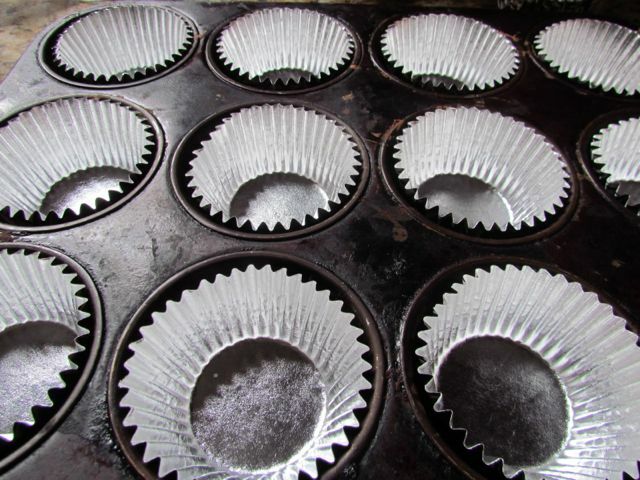 I found it just as easy to keep them in a cupcake pan to dry. I told you they were easy and pretty cute too. You could always add a note to the bottom of the cupcake liner with your name and year so they recipient will remember who gave them the ornmanet. Have fun with this project, you can make mini cup cakes too. Once I started making them I could not stop. They are so simple and so cute. Handmade gifts say I took the time to make this for you because I was thinking of you. 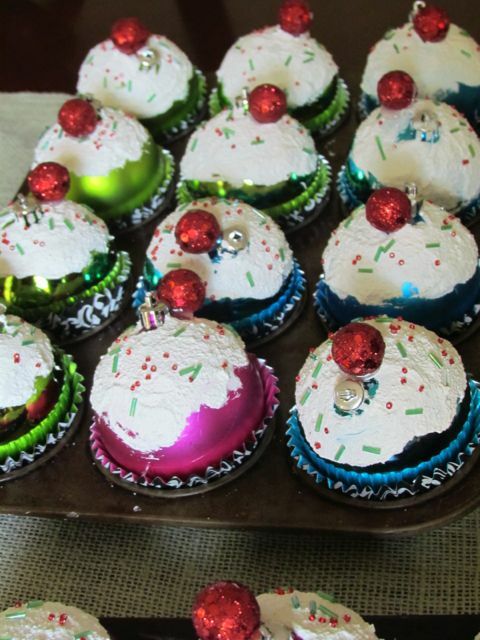 These are easy enough to make in bulk and will put a smile on someone’s face. 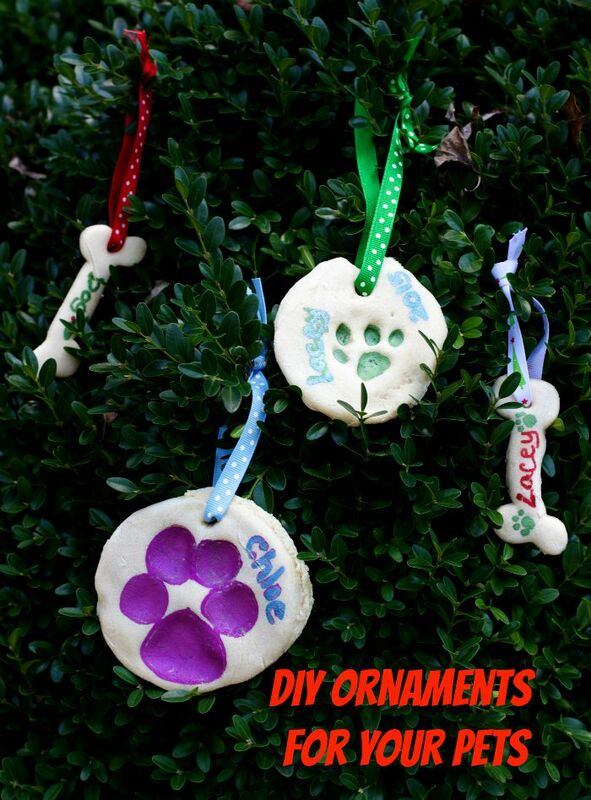 Don’s miss this post on some other great DIY Christmas Ornament for Kids or Adults. These are such adorable cupcakes. I like how pretty yours turned out and this is a fun cupcake to make for Christmas with my daughter. Thanks for sharing the recipe.